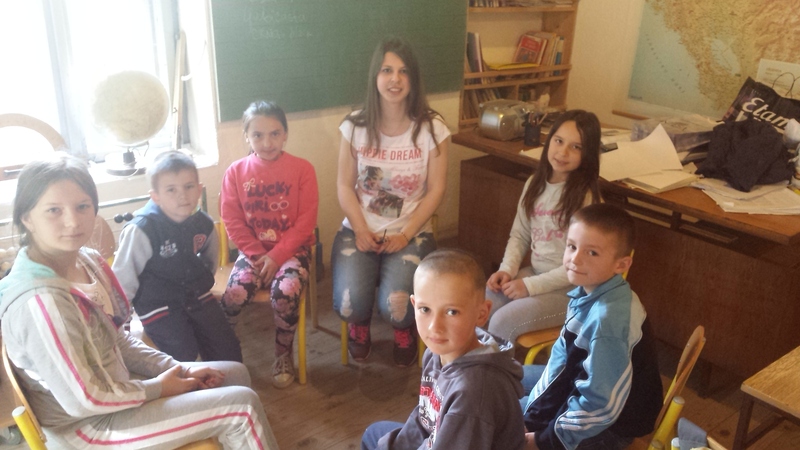 From 25 March until 20 May Jelena Minic ’11 taught English language to 20 primary school students in the village of Jablanovo, Montenegro. ‘This village is only 20 km away from a town Bijelo Polje, but life in the village is very different and a primary school doesn’t even have an English teacher. I decided to organize the classes so that the students would have some basic knowledge of English when they go to middle school and not be behind their peers,’ says Jelena. In the course of two months she taught the students elementary vocabulary and grammar on a wide range of topics, including school life, family and friends, sport and nature. When studying the topic of sport Jelena played basketball with her students. As a result of the FLEX alumna’s classes the students are now able to hold simple conversations in English and are motivated to continue learning the language further. To mark the school’s 90th anniversary Jelena also planted 100 trees in the school yard together with her students. The trees were donated by the FLEX alumna and the students will continue taking care of them in the years to come.